Welcome to Davie Garage Doors ! Davie Garage Door in Florida is a 24/7 local, insured and bonded garage door company. 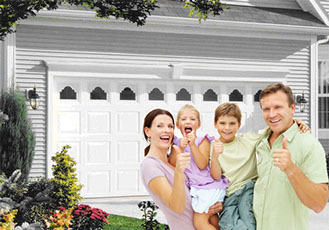 We offer same Day Service For All Garage Door Repair & Installation in Davie, Florida. Whether you are looking for a new Standard Garage Door, Custom Garage Door, or Electric Garage Door opener, or you just need a repair, we can help. In Davie Garage Door we provides a complete range of garage door repairs and services from a professionally trained staff of dedicated technicians. Bottom line, we offer the best garage door prices, service, and reliability in Davie. In Davie Garage Door we have the experts you want to turn to when getting your garage door fixed or installed. In Davie Garage Door We can repair and service your current garage door; whether there is a problem with the springs, the actual doors, or the opener. Alternatively, we can install new products in your home if you decide it's best. With years of experience behind us, our team In Davie Garage Door can help you make all the right choices along the path to a more convenient and safer garage door system. No single door is perfect for everyone. That's why Davie Garage Door provide a huge selection of stylish doors and accessories that can help you protect your kids, pets, and anyone else who uses the door.